AT AROUND 4pm last Friday a well-heeled couple sauntered down the pretty canal-lined streets which run parallel to Amsterdam’s Dam Square. To most people they would have appeared to be nothing more than two of the thousands of middle-aged tourists enjoying a spot of afternoon window shopping on holiday in the Dutch capital. But when armed Dutch police officers swooped and arrested the couple as they reached Mosterdpotsteeg junction with Spuistraat, it was clear they were no ordinary tourists. 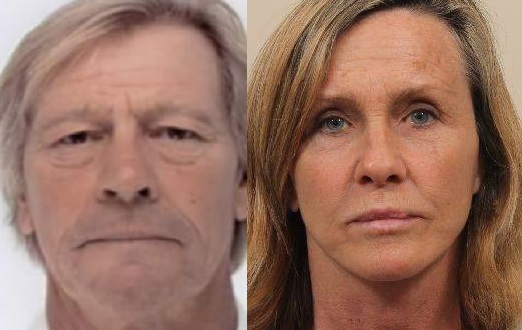 Dutch police had just detained 59-year-old Patrick “Patsy” Adams and his 55-year-old wife Constance, senior figures in the notorious Adams crime family from North London dubbed the A-Team. He was on the run and Britain’s most wanted. In April this year, the Metropolitan Police quietly applied for a European Arrest Warrant to be issued against the couple in connection with the shooting in broad daylight of a former A-Team enforcer called Paul Tiernan on December 22 2013 in Clerkenwell. Despite gunshot wounds to the chest, Tiernan survived the attack and went on to later deny “one million percent” that Patrick Adams was behind the shooting. The following month, the Met, having successfully applied for an arrest warrant, went public and issued photographs of the couple saying they were on the run, with the possibility they could be in Spain or Netherlands. Rumours subsequently abounded that they had in fact fled to Cyprus. Alongside his brother Terry Adams, Patrick or Patsy as he often known, occupies a position at the very top of a well-oiled organised crime group which has brought terror to the streets and exercised a power which has even brought them to the attention of MI5 on the grounds of threats to national security. The A-team has been linked, since the early 90s, to more than 25 murders. In addition they have been involved in large shipments of class A drugs over three decades, and a myriad of other criminal enterprises from corruption and extortion to property fraud and money laundering. The background to the arrest of “Patsy” and his wife is even more astonishing, if to be believed. According to the statement of the Dutch police , Adams and his wife were spotted wandering down Spuistraat by a police officer from the first floor of an overlooking police station. The officer, apparently specially trained in techniques of facial recognition, immediately linked Mrs Adams with photographs of the couple which had been distributed by British Police in May. The officer radioed to colleagues on the ground to follow the couple and ascertain if it truly was Britain’s most wanted. Shortly afterwards they were arrested and also linked to a safe house nearby which has been raided by the police and items seized. Another anomaly is that despite having clearly been informed the Met were on his trail, Adams thought Amsterdam was a safe haven. Adams could have chosen any one of a number of locations to lay low which do not have extradition agreements in place with the UK. Instead he chose one of the very locations police had flagged up as Adams’ potential sanctuary – perhaps Adams believed “the flat place”, as its known in criminal circles, was safe because the police had gone public. Either way Adams must have known that co-operation between the British and Netherlands in cases such as this is extremely tight and will now have to shuffle his pack of cards like a magician to avoid being flown back to the UK in handcuffs. According to Dutch sources the couple have indicated they are going to fight extradition to the UK. Dutch judges will have to rule on the application from the UK within the next three months. There was more bad news for the A-Team. On the day the Met announced Adams and his wife were in custody in Holland, they also announced a raft of criminal charges against a number of other members of the A-Team including Patrick’s younger brother. Michael Adams, 50, and his partner Deborah Heath, 48, were charged following series of raids carried out by Scotland Yard and HM Revenue and Customs, mostly across the north of the capital last year. Adams was arrested at his Finchley home in April 2014 as part of Operation Octopod when more than 100 police and customs officers raided properties across the capital and south east. He is charged with four offences of converting banknotes, knowing they were obtained from crime, falsely stating his income for tax purposes and two charges of money laundering. Heath, who was arrested at the same time is charged with the money laundering offence of concealing banknotes. Four others were also charged including retired chartered accountant Rex Ekaireb, 67, of Hendon, is charged with intent to defraud HMRC. It is claimed he falsely stated the level of income Michael Adams received for “consultancy work, commissions and introduction fees”. Ekaireb’s son Robert, a property developer, was recently jailed for life for the murder of his Chinese wife Lihau Cao, whose body was never discovered. Police believe Robert Ekaireb was close to the A-team and had phoned Adams’ family associates at a West End club controlled by the A-team for help disposing of his wife’s body on the night of the murder. His father Rex Ekaireb is also charged with converting criminal property to launder cash. Four others are also charged under the Proceeds of Crime Act. All six charged have been bailed to appear at Croydon Magistrates Court in October. 22 others arrested at the time of Operation Octopod remain on bail. It seems that finally last orders may be about to be called on the A-team as police begin to fragment this tight organised crime group which has brought so much fear to the capital and spilled so much blood.